The Mountain Kingdom of Lesotho is a country rich in culture and rugged beauty. Afriski Mountain Resort tucked away in the northern highlands, provides a gateway to this largely untapped world of high-altitude adventure. 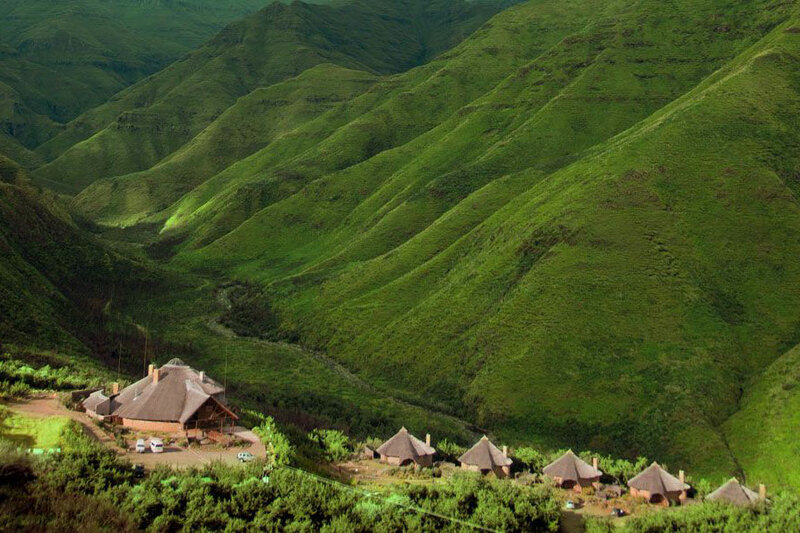 Situated in the heart of the Drakensberg-Maluti Mountains, this luxury resort caters to every taste and offers the perfect escape for sport and outdoor enthusiasts, corporate parties as well as families. With a selection of accommodation options, as well as a range of on-site facilities and restaurants, Afriski has all you need for the perfect mountain getaway. In summer, ambitious mountain goats explore the peaks in pursuit of a wide range of outdoor endeavors. The resort welcomes mountain bikers, trail-runners, hikers, fly fishermen as well as enduro and off-road enthusiasts equally. Multiple trails, paths, and streams await discovery. 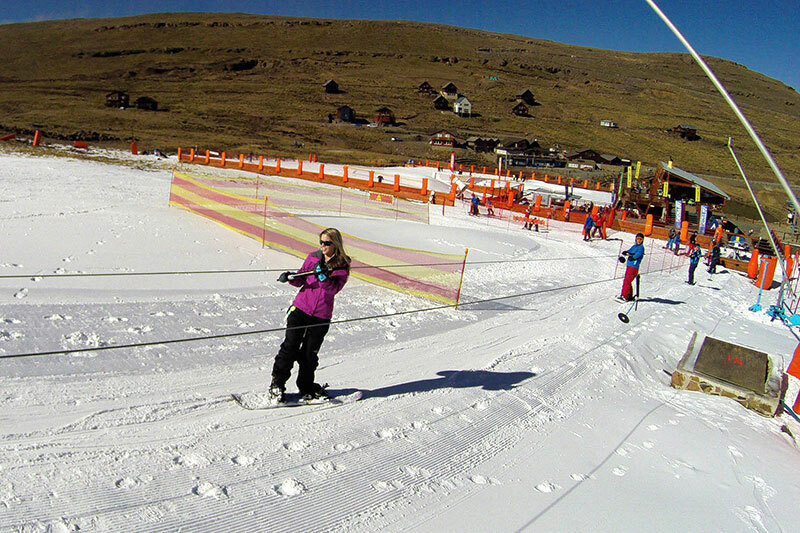 When the seasons turn and the cold descends, our ski slopes come to life. In addition, log fires in the evening provide time to unwind, kick back and relax. From exploring our mountains by Basotho pony or mountain bike, to experiencing our valley’s culture on guided village tours or at a meeting with a spiritual healer, to learning about conservation at Faneuel Musi’s amazing reclaimed donga, you will never have a bored moment here. In fact, you will probably have a list of reasons to come back. Even though Lesotho is a nation distinct from it’s powerful and all-embracing neighbour South Africa, it nonetheless exists as an integral part of the great South African geographic and race kaleidoscope. Therefore, notwithstanding a persistent claim to a separate identity, it is difficult, if not impossible to completely separate Lesotho as a regional travel destination from South Africa. 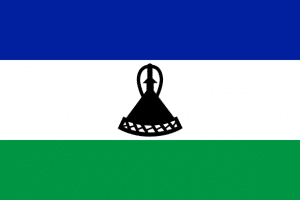 Lesotho’s independent character is alive and well, however, and is related in no small part to the fact that it was never wholly drawn into the family of territories governed from or through England during the long colonial period. Why this is so, is hard to say, but it would be reasonable to suppose that it has much to do with that fact that no overt mineral wealth exists within the mountain fortress of Lesotho. It is also true that at the peak of European expansion through South Africa the region was an ordered and well-governed polity under one of the region’s greatest sons: Paramount Chief Moshoeshoe. From a travel perspective, Lesotho is principally a cultural and nature destination, its borders being defined by both the climactic escarpment of the Drakensberg range and the rolling plateau of rivers and grassland that lie beyond. The country is governed as a constitutional monarchy, and as a nation, it clings with tenacity to its distinct cultural heritage. In the generally, overdeveloped and highly industrialized landscape of South Africa, Lesotho exists in something of a time vacuum. Here people still live and interact as they did in pre-colonial times. There is, of course, a veneer of modernity, but that veneer is very shallow, and rarely is it difficult to peel away the surface layer and see the rich texture of African traditional life beneath. Lesotho has a tradition of horse breeding and use. This owes its origin to the introduction of horses to The Cape by early Dutch settlers. In due course these were adopted and adapted by the Basotho, eventually emerging as a distinct breed known as the Basuto Pony. These are hardy little mountain horses ideal for long-range pony trekking through the signature mountain terrain of the country, and this is indeed one of the principal attractions of Lesotho. Lesotho is critically overpopulated, so do not approach the national parks of the country with any expectation to view wildlife in any quantity, or be blessed with endless wilderness to explore. Of Lesotho’s wilderness heritage, however, the mountain dominated Ts’ehlanyane National Park in the north of the country is well worth a visit, as is Sehlabethebe National Park, which is poised on the eastward limit of the Drakensberg escarpment. Both parks are a hikers hill-walkers paradise, and both are surrounded beautifully appointed lodges and country hotels. As a general touring destination, Lesotho can be very rewarding. It has a good road and general communications network, with much South African influence evident in the diversity and standard of accommodation options throughout. These are usually associated with areas of great natural beauty, which of course are many. Driving through Lesotho represents a brief glance back in time, which is particularly so as one is surrounded elsewhere else in the region by the general advancement of South Africa. Customary dress is common, as is the traditional homestead and lifestyle, and it is in particular at higher elevations than the simple and pastoral stock herding lifestyle is most evident. Situated at altitude and some way south of the tropics, winters in Lesotho can be very cold. In particular, the escarpment regions can be frigid during this period, with frequent and heavy snowfalls recorded across the territory. However this is an extremely outlandish and beautiful manifestation of highland Africa, and although somewhat alpine, winter hiking in the Drakensberg and in Lesotho generally is not restrictive. For balmy days, however, and cool summer nights, the best time of the year to visit Lesotho is in the summer months between April and October. The country is somewhat touched by the South African attitude to crime, and one must never underestimate the threat. However violent crime rates in Lesotho are much lower than in South Africa, and on the whole, movement is unrestricted and most parts of the country safe. Avoid walking after dark anywhere in Maseru, or in any other city. Hiking along the Drakensberg escarpment unassisted is usually safe, and although incidences do occur from time to time, they are rare. It makes sense to be careful, to not overtly display your expensive hiking gear, and on the whole be respectful but aloof toward the stock herders whose country it is.